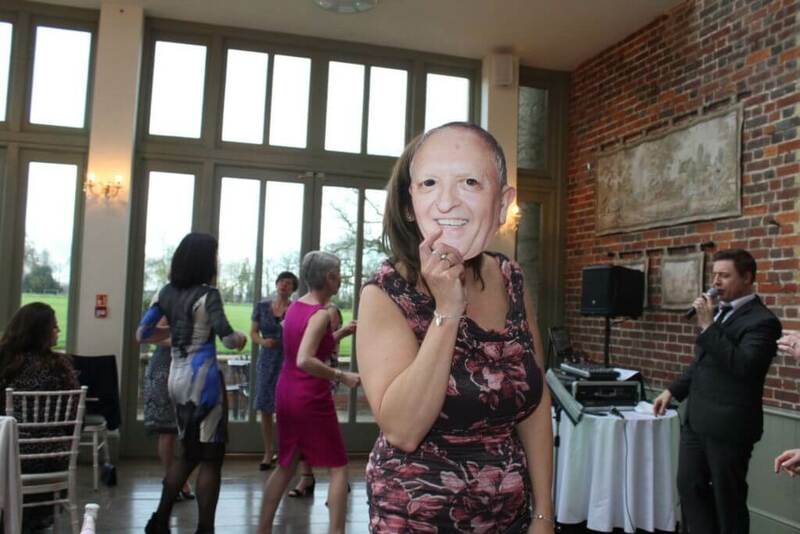 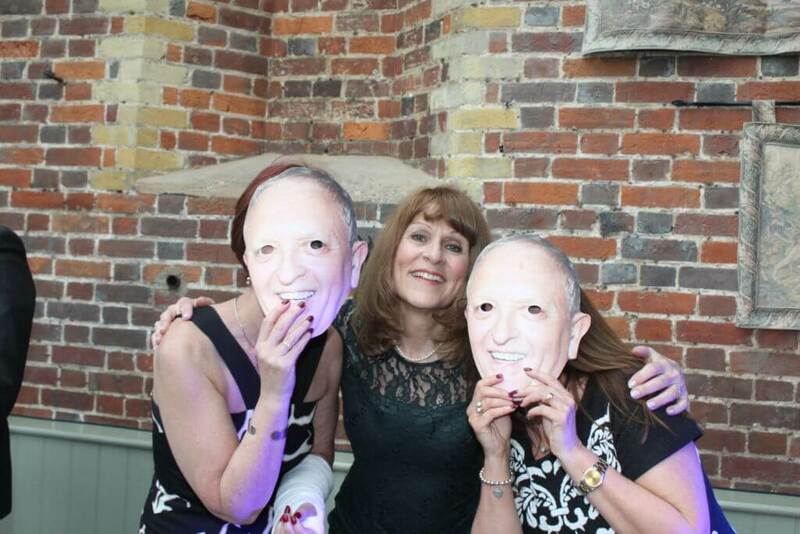 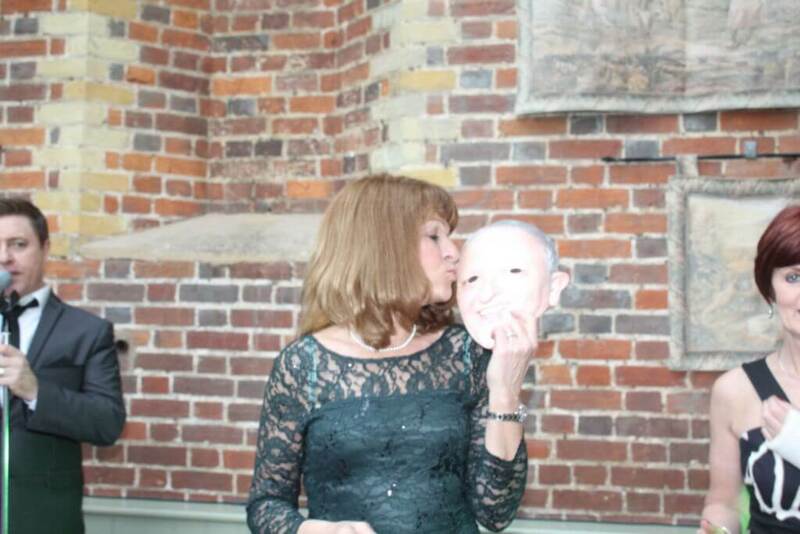 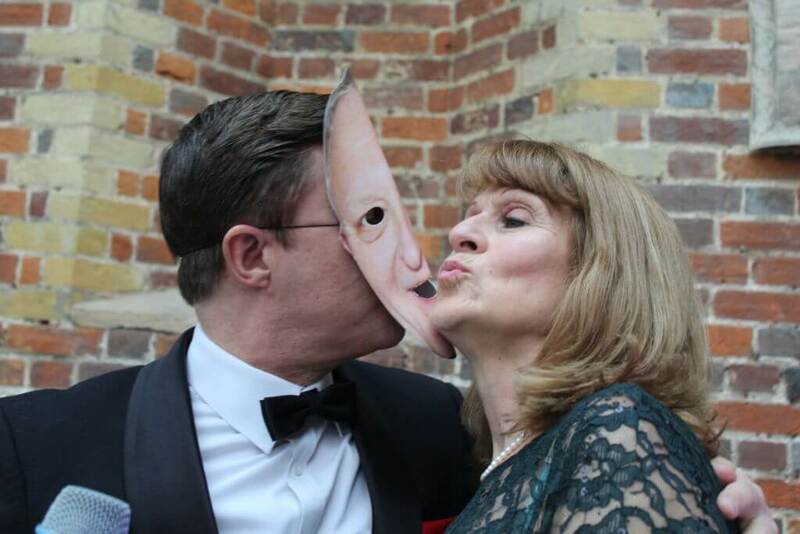 I thought the masks were a fabulous idea and the whole afternoon was a great success and I had a great time! 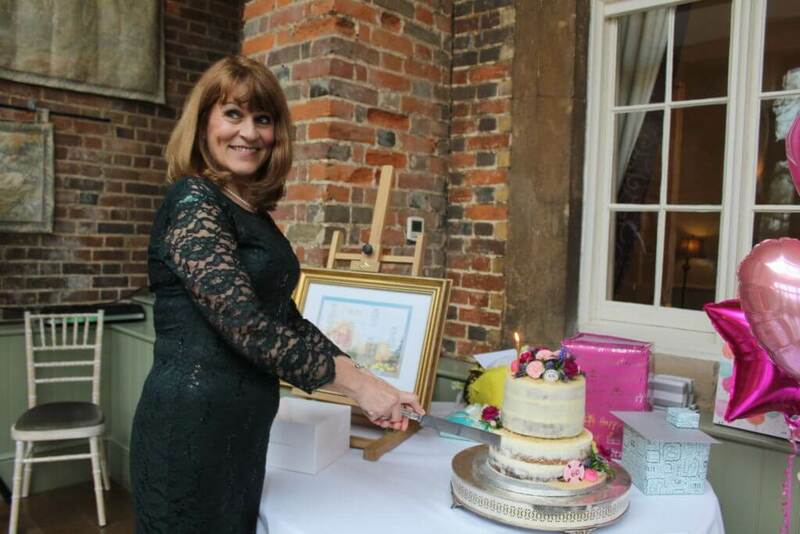 Thank you so much and I hope Offley Place use you for their grand opening! 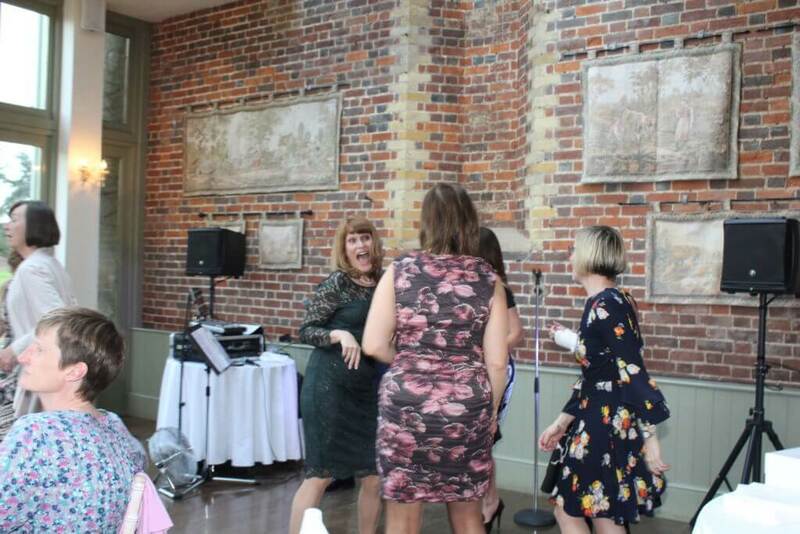 I was also surprised to have a present from you both and I love my wallet purse - thank you so so much, you are great friends and a trusted artist provider that has always delivered top quality acts and never let me down. 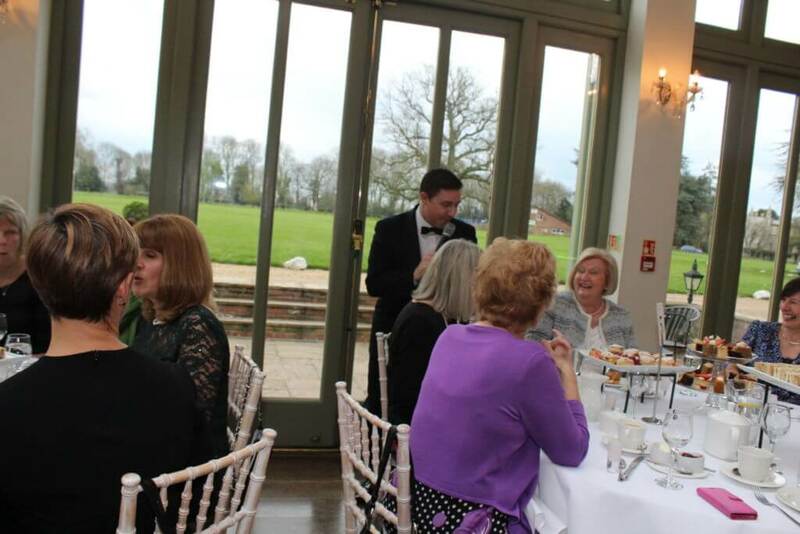 I always recommend you and will continue to use you for events at Harpenden GC. 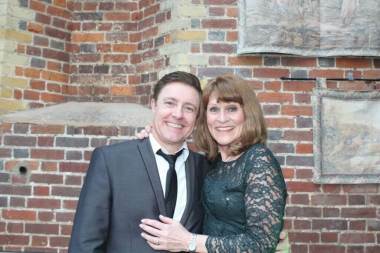 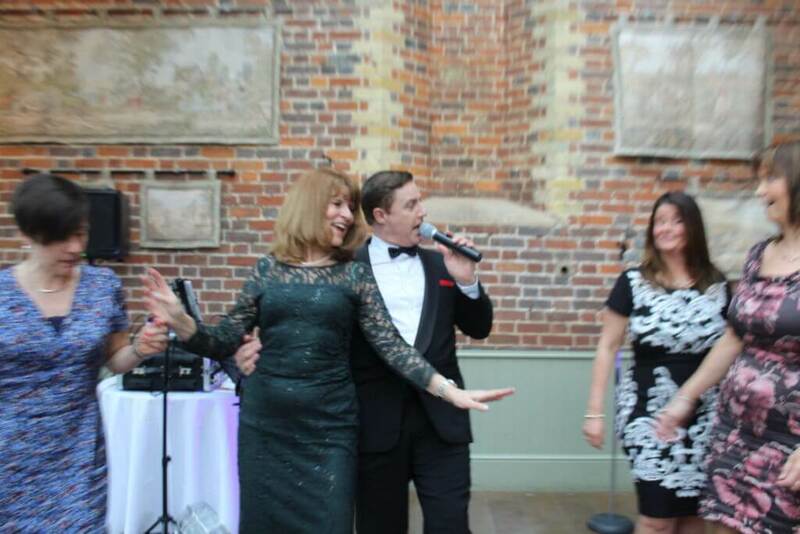 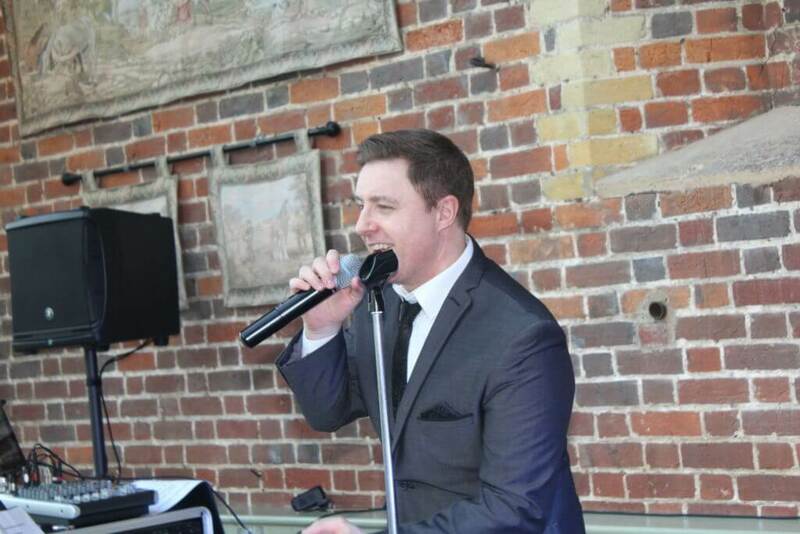 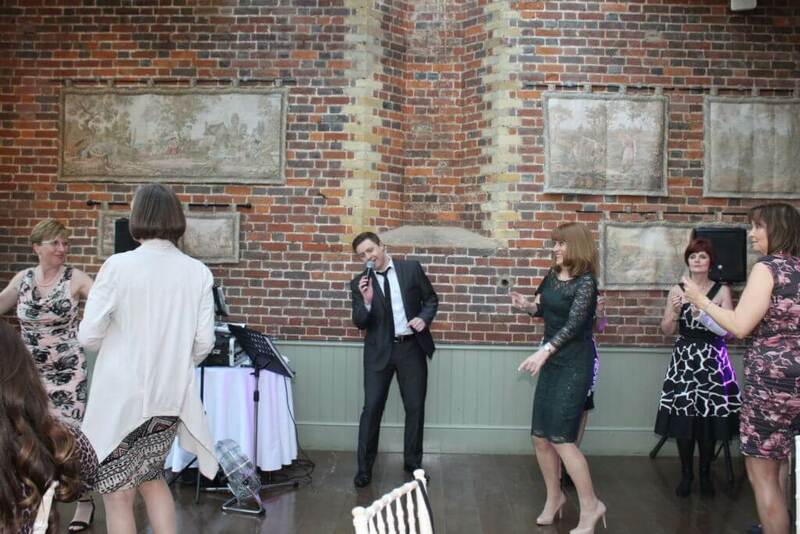 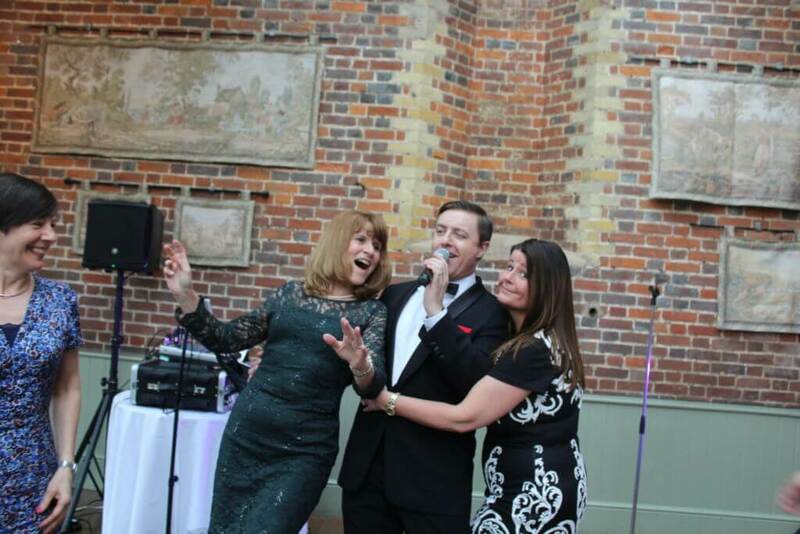 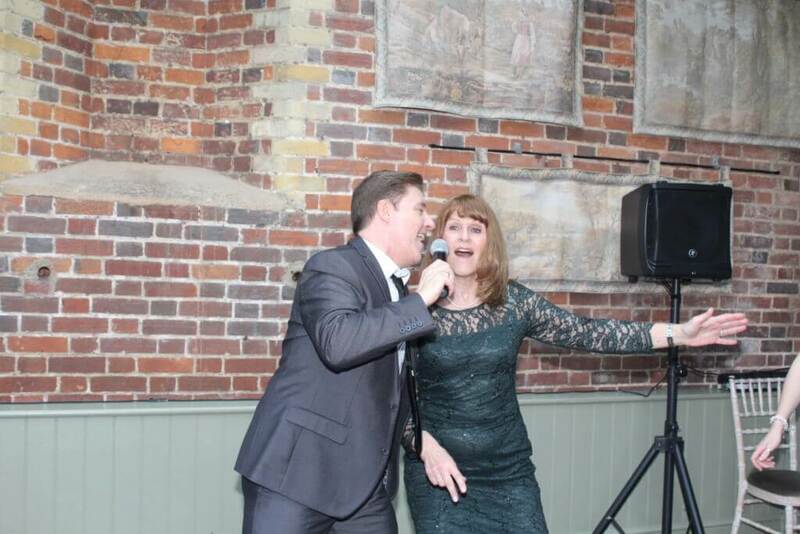 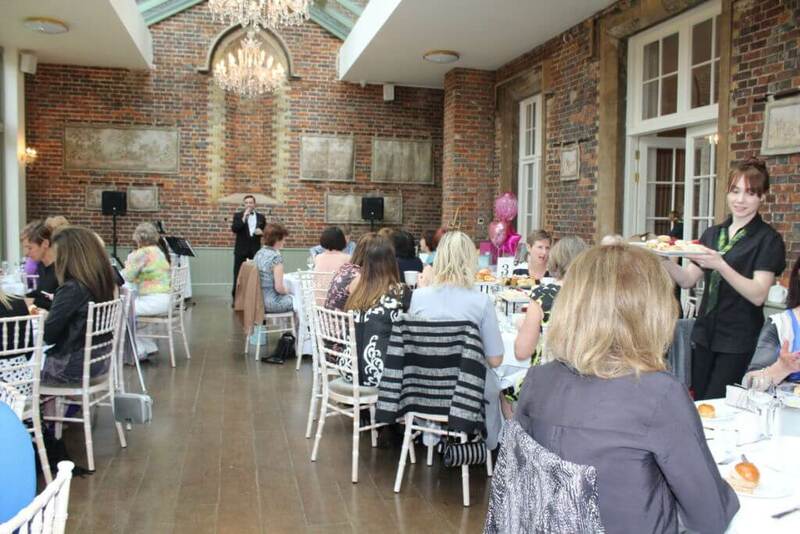 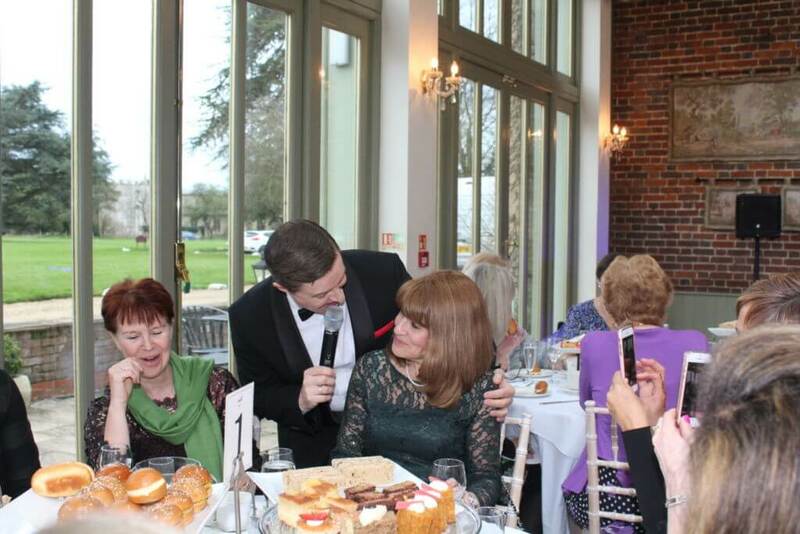 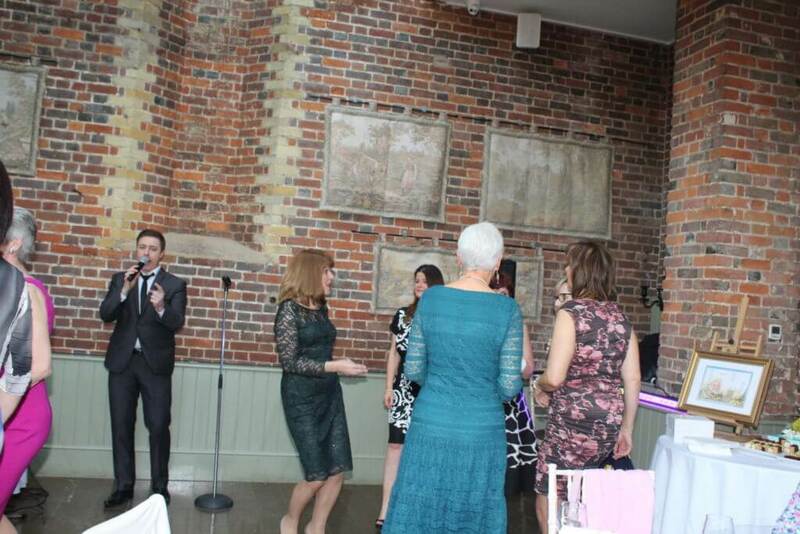 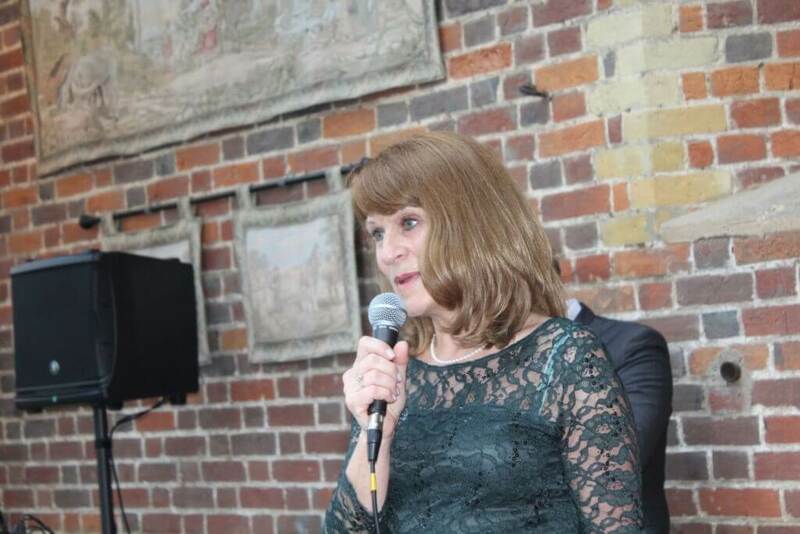 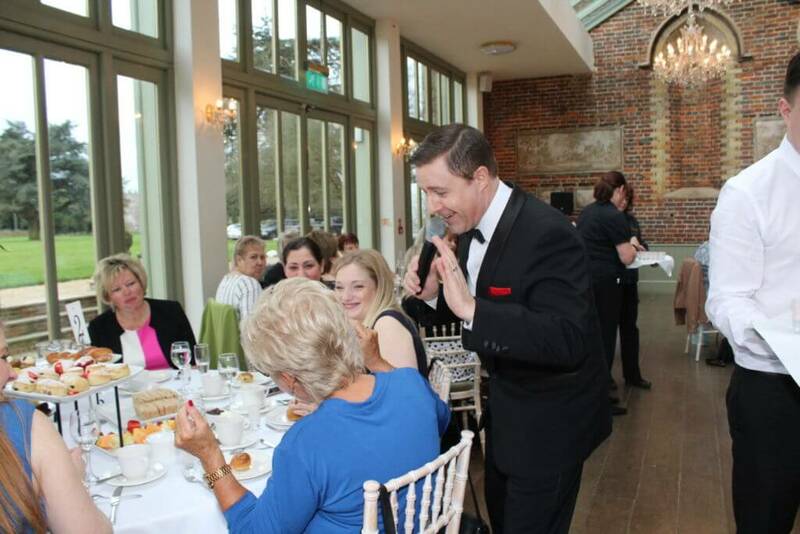 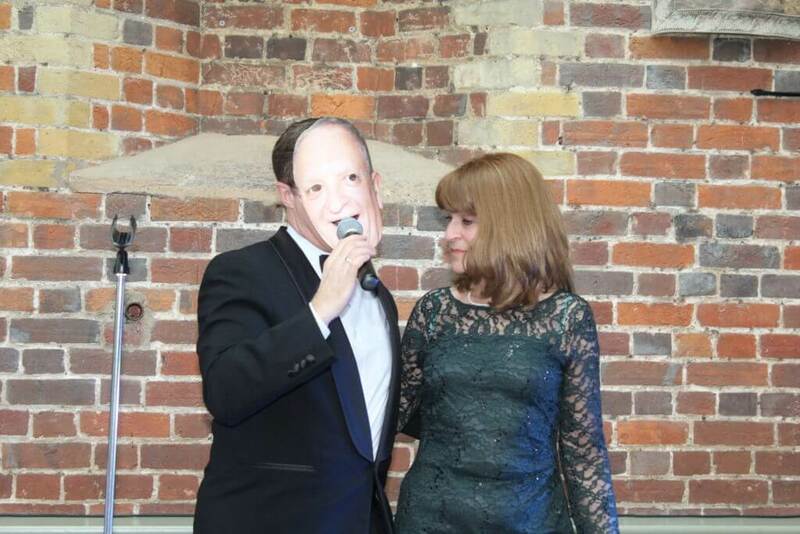 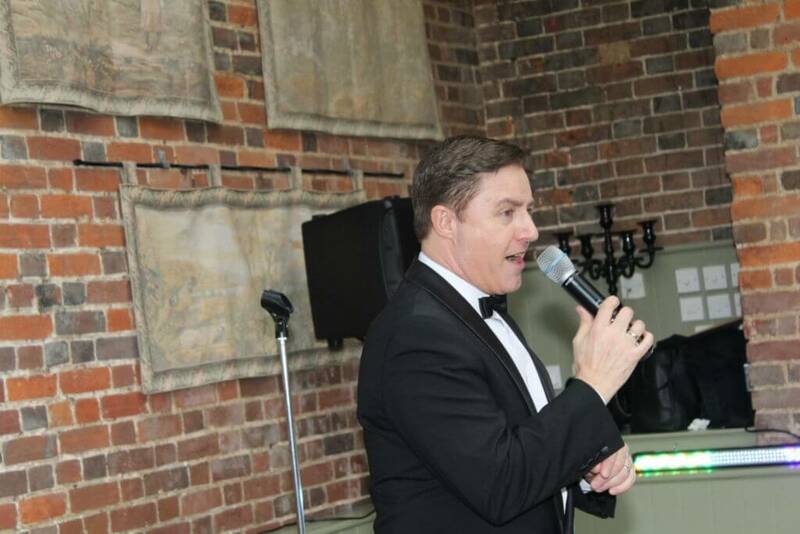 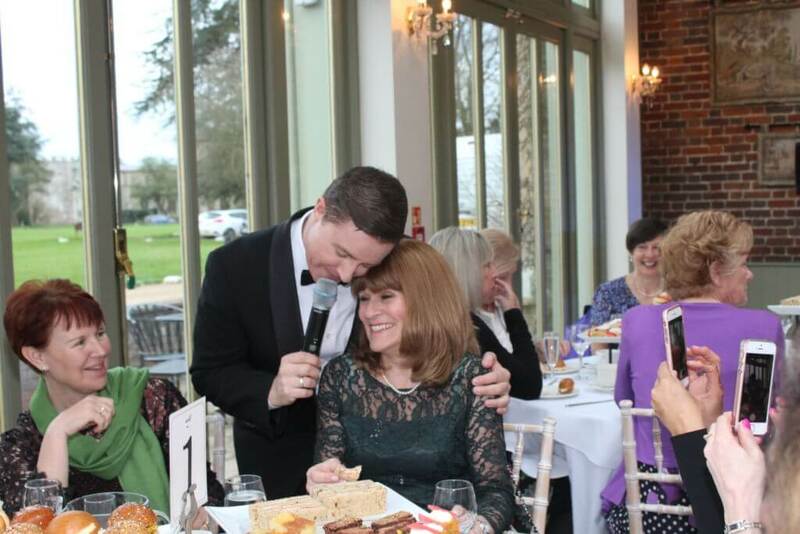 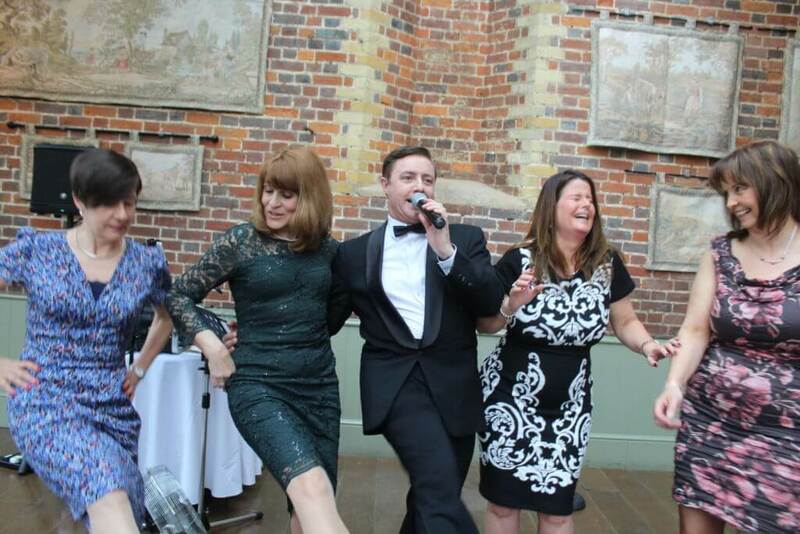 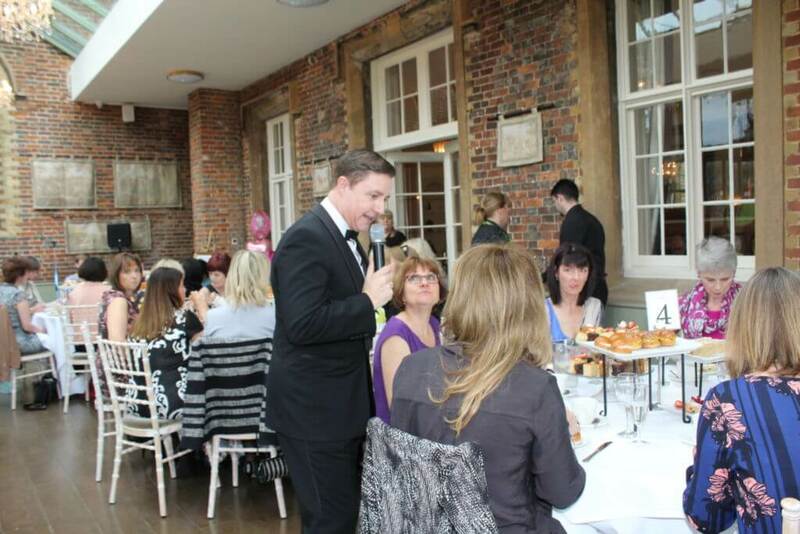 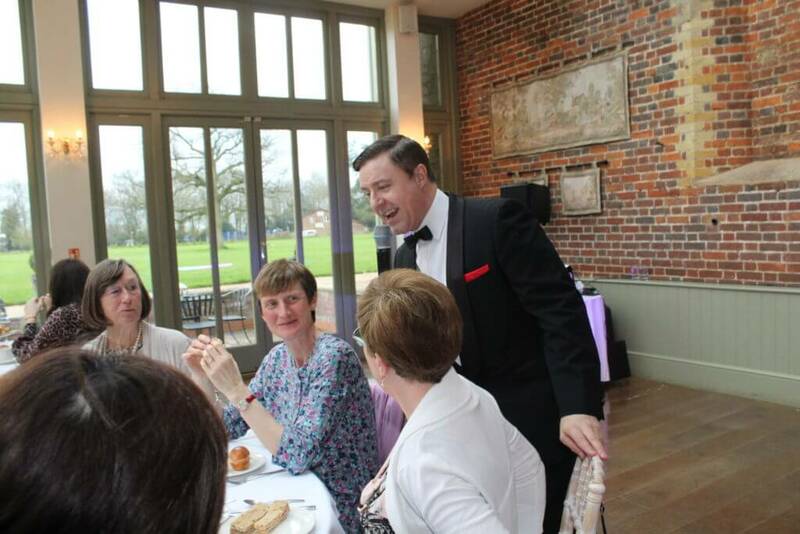 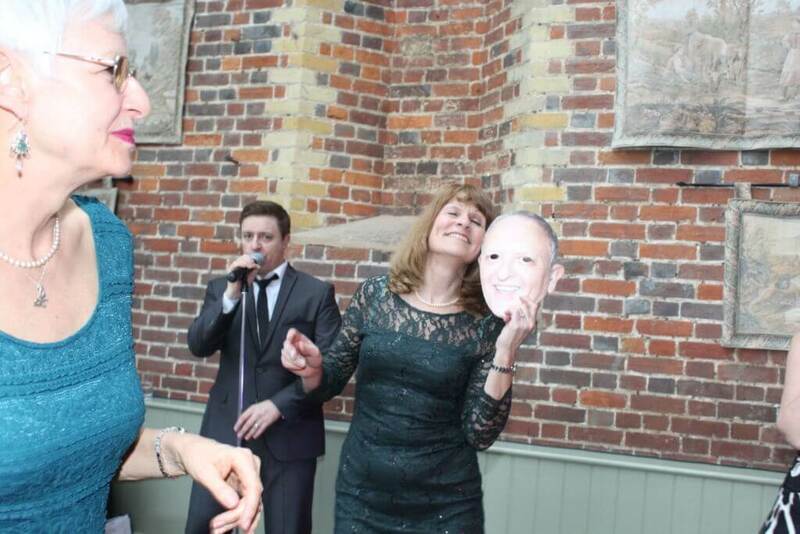 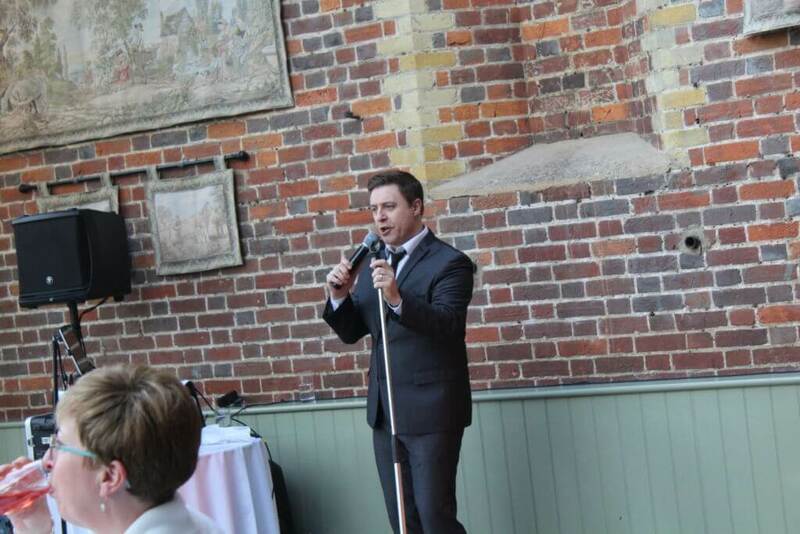 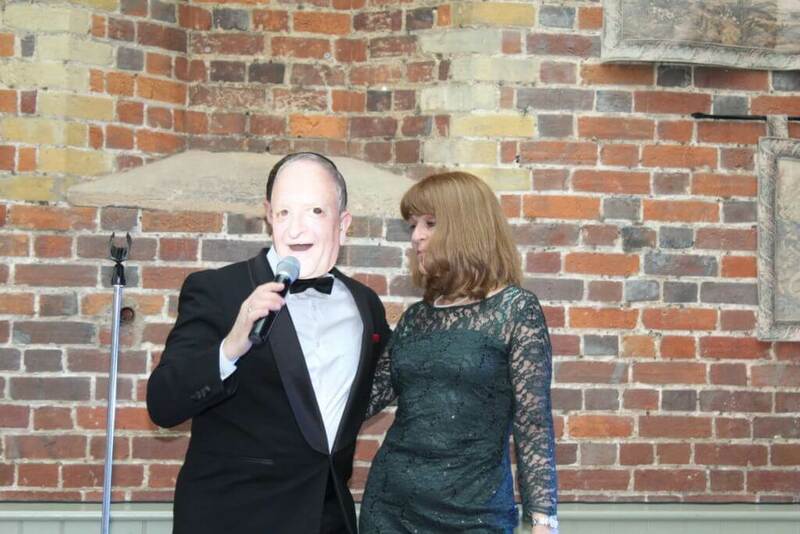 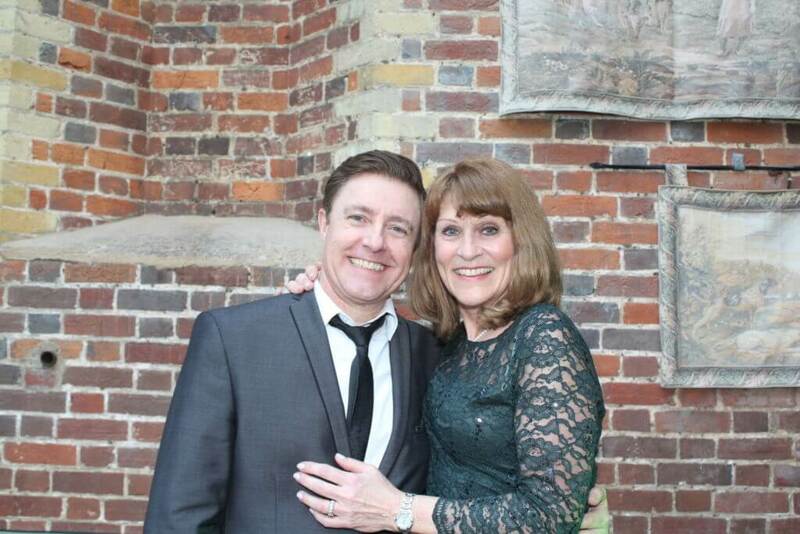 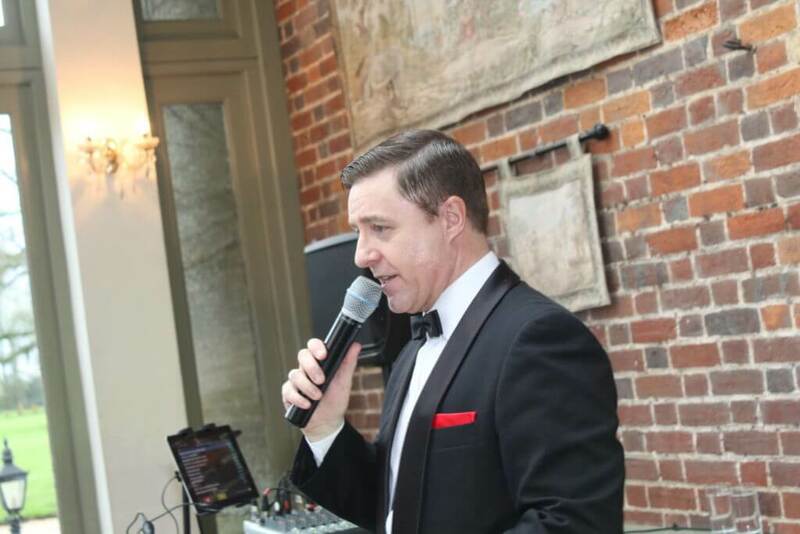 Joy hired Andy to perform his Rat Pack and Michael Buble tribute show for her birthday/afternoon tea at the stunning Offley Place in Hitchin. 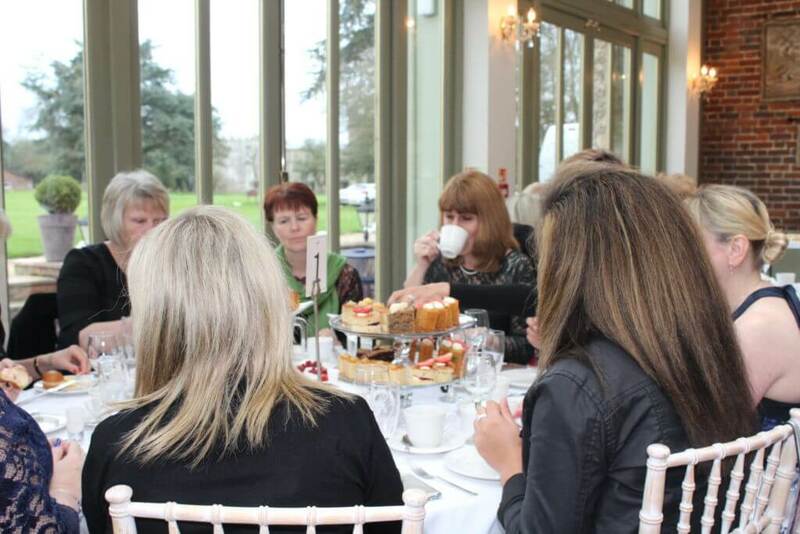 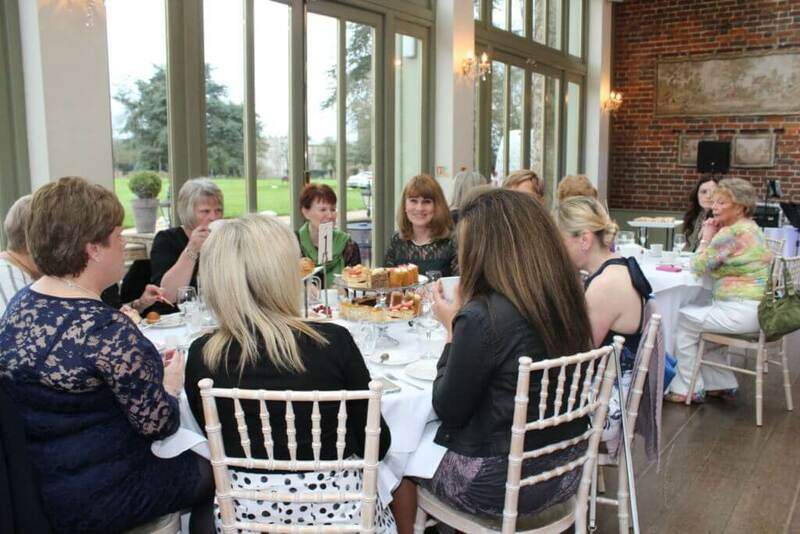 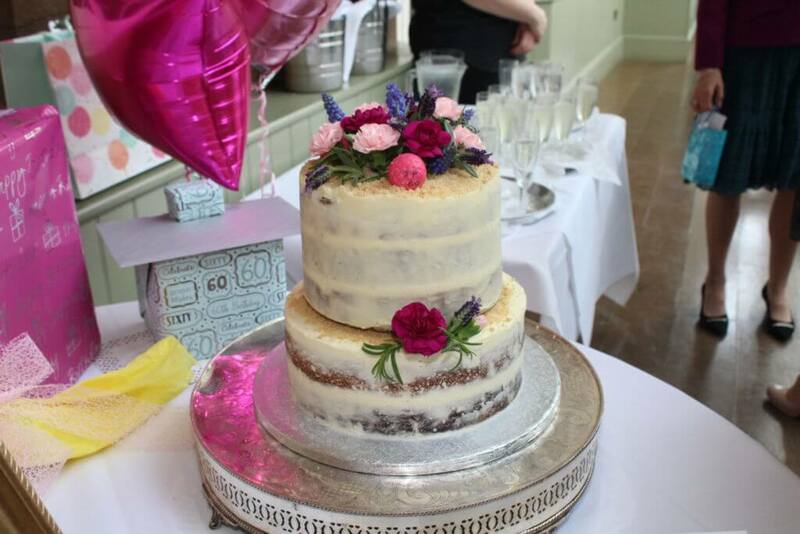 They started the afternoon with prosecco then sat down to a huge, amazing afternoon tea. 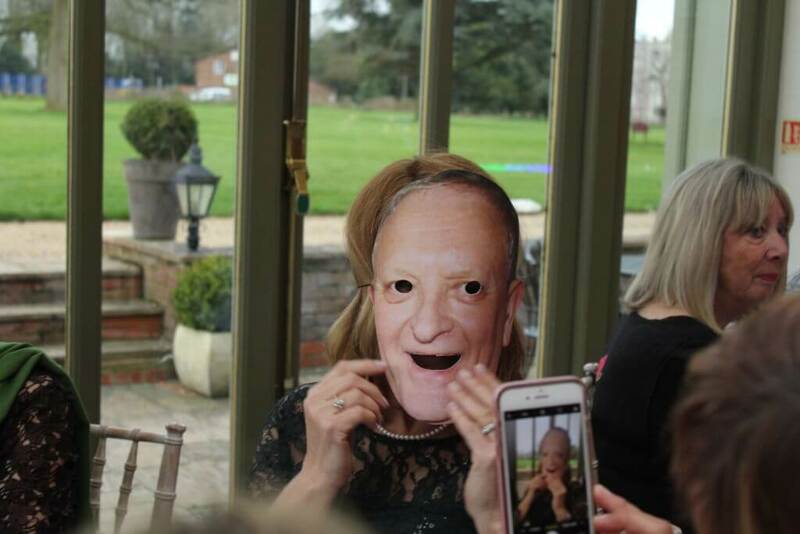 At 4 pm. 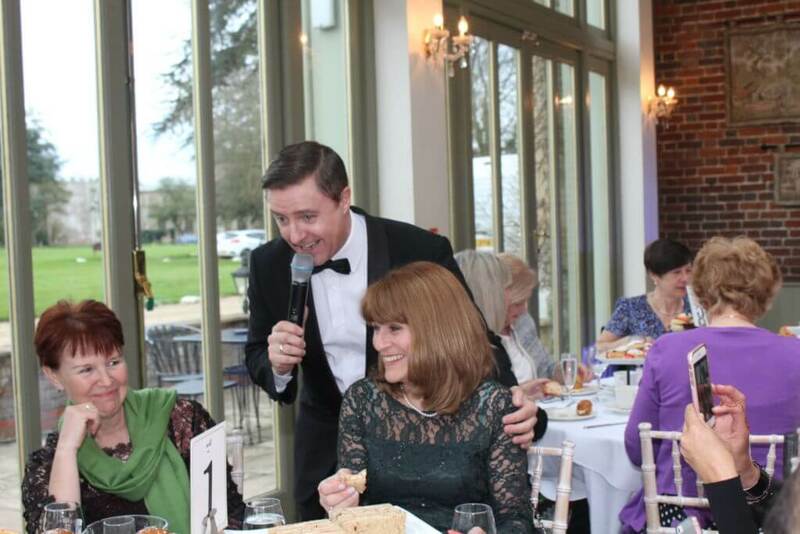 Andy started with his Rat Pack set, then sent Joy over to cut her cake and got everyone to sing Happy Birthday. 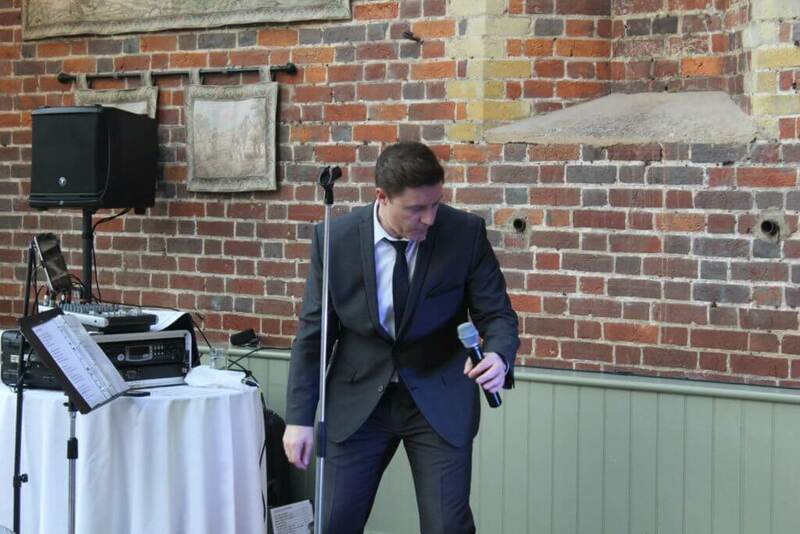 After a short break, he came back with the Michael Buble show. 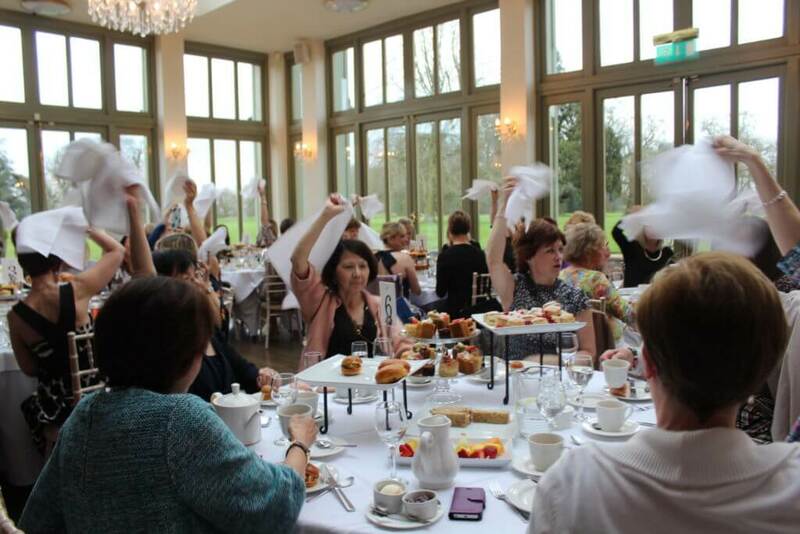 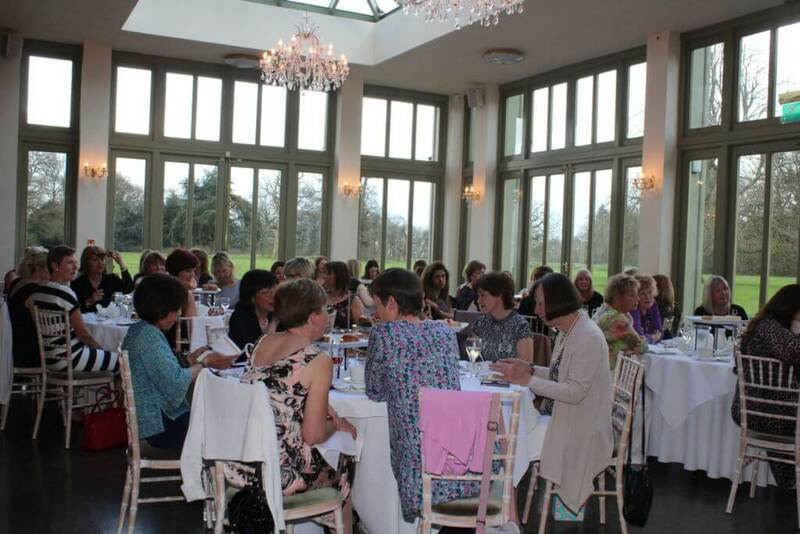 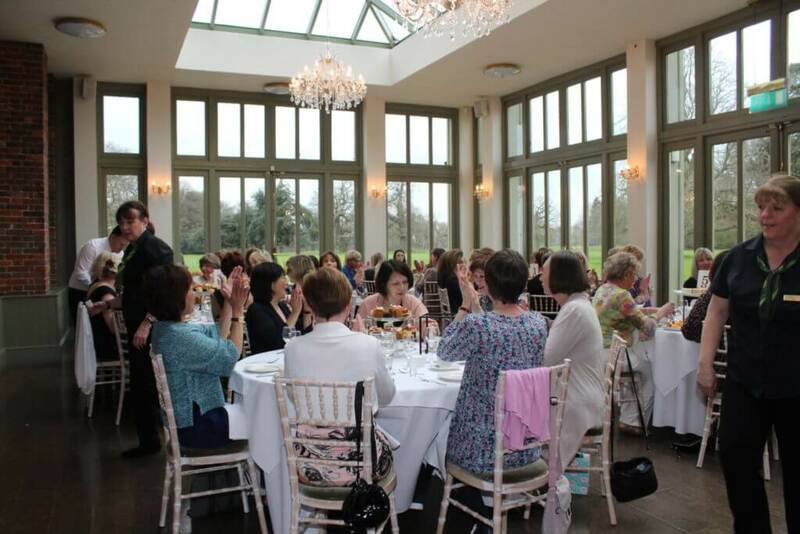 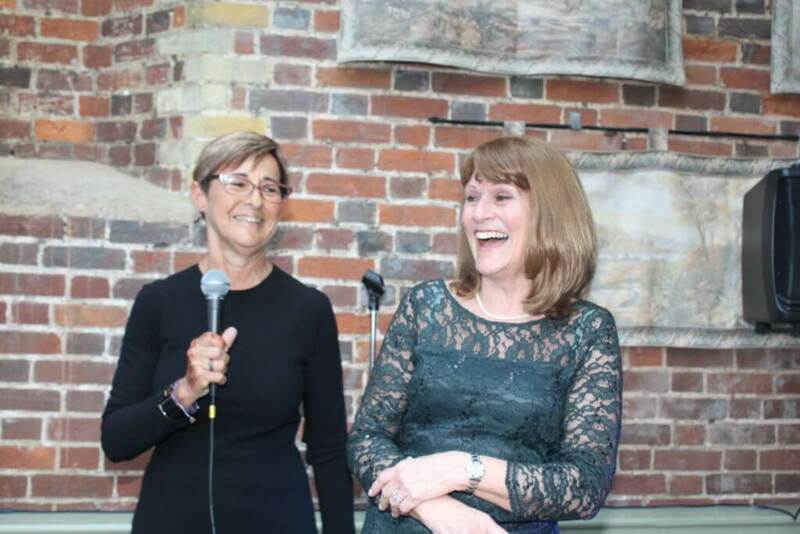 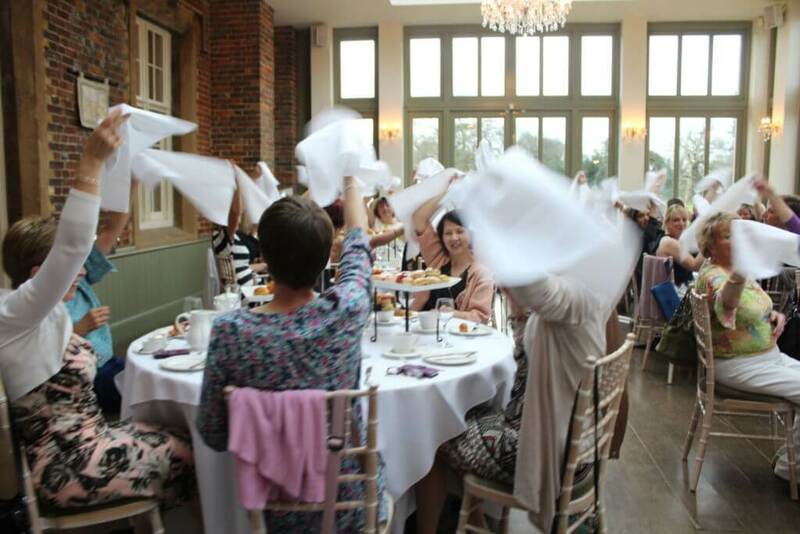 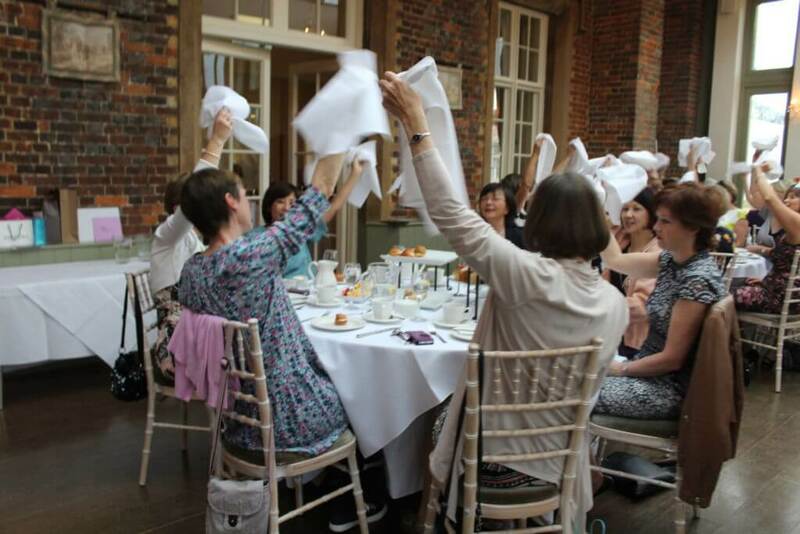 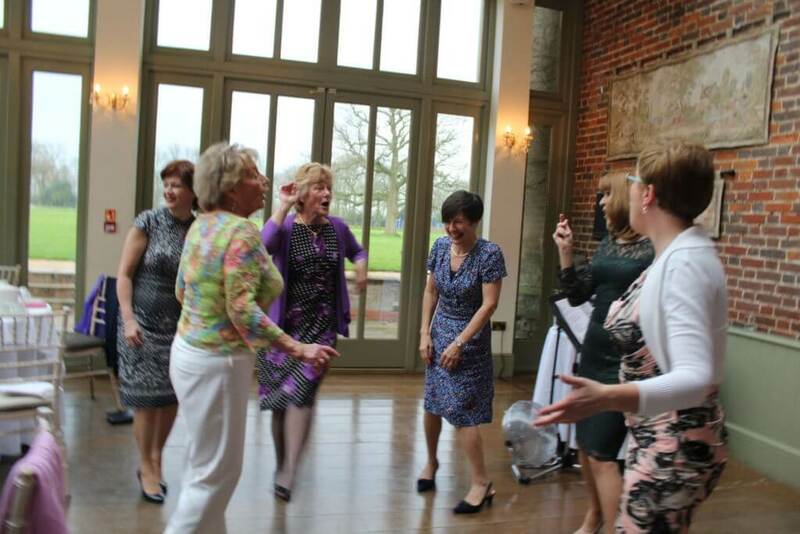 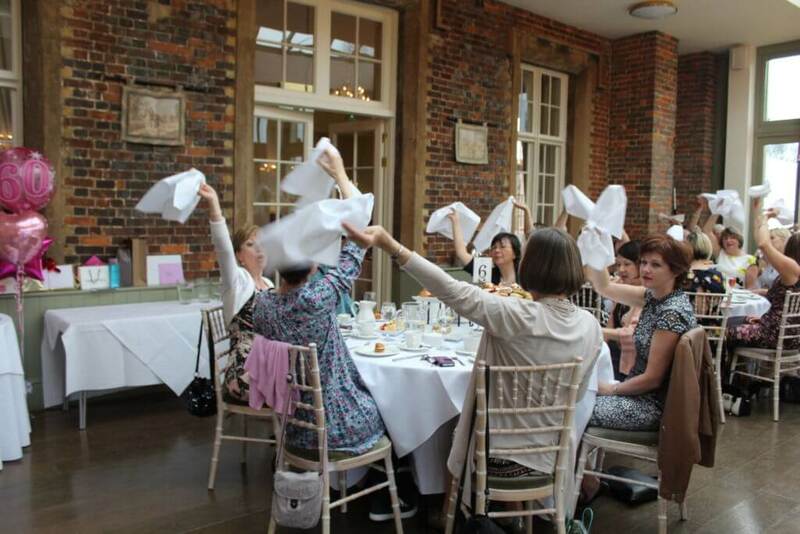 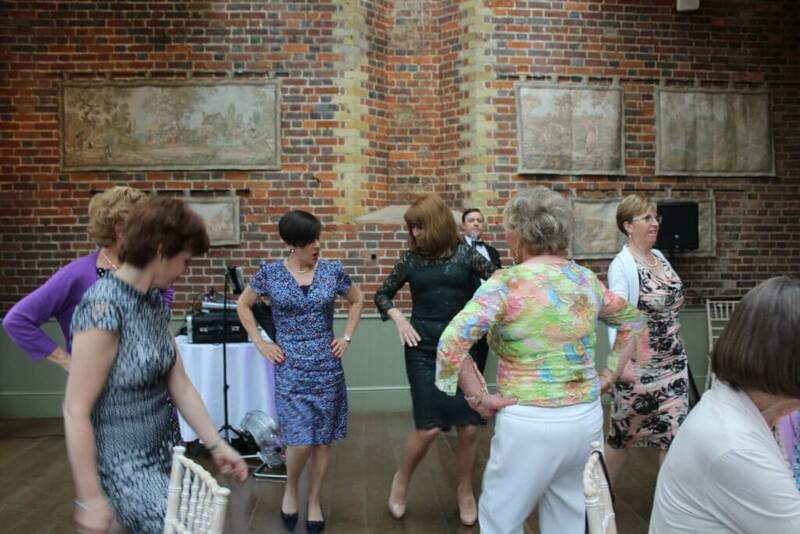 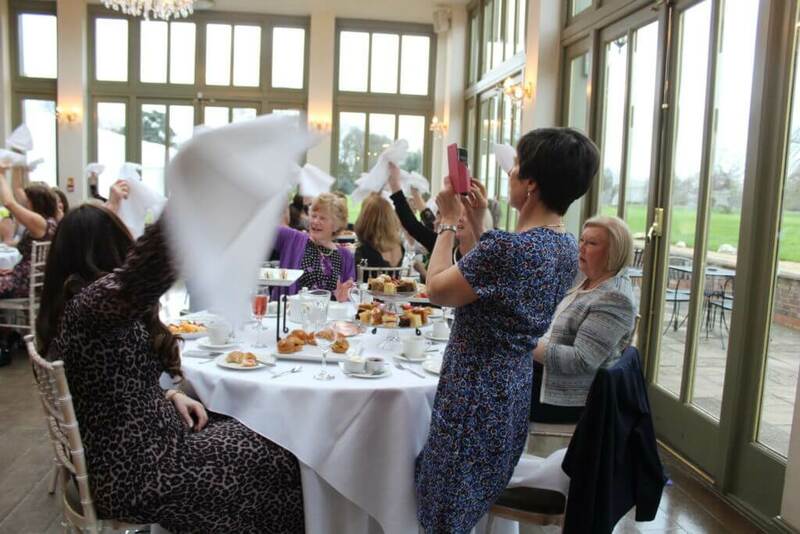 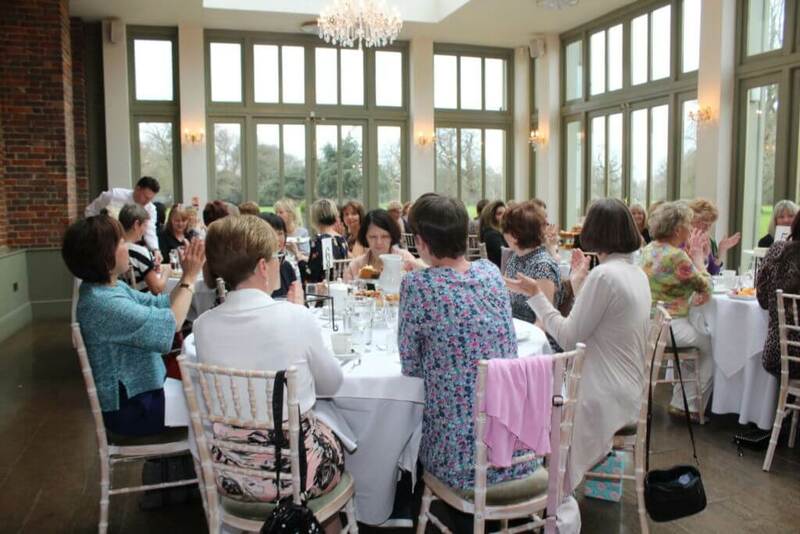 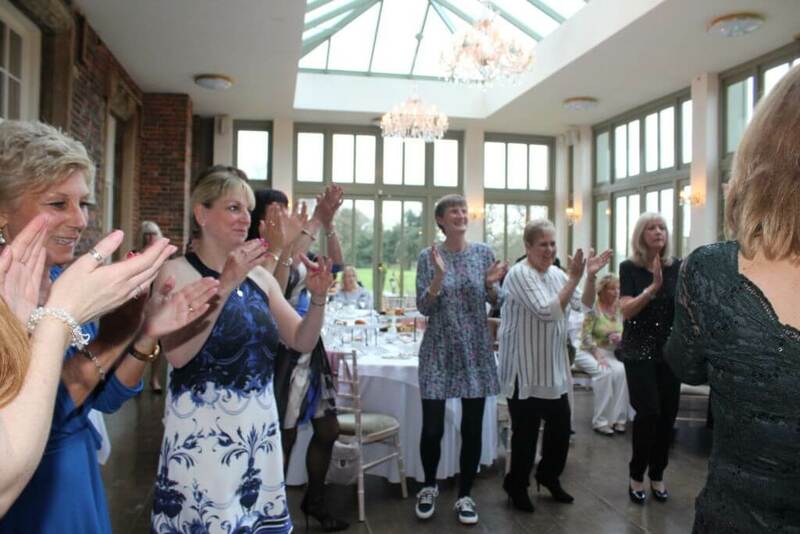 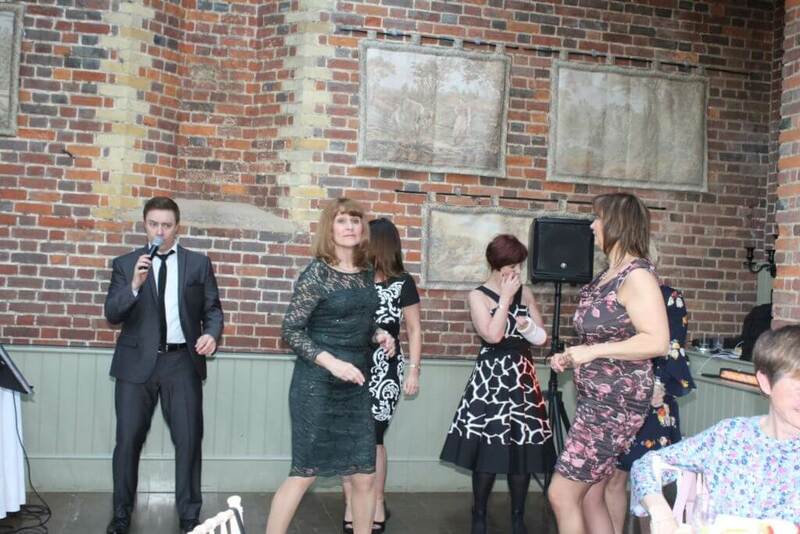 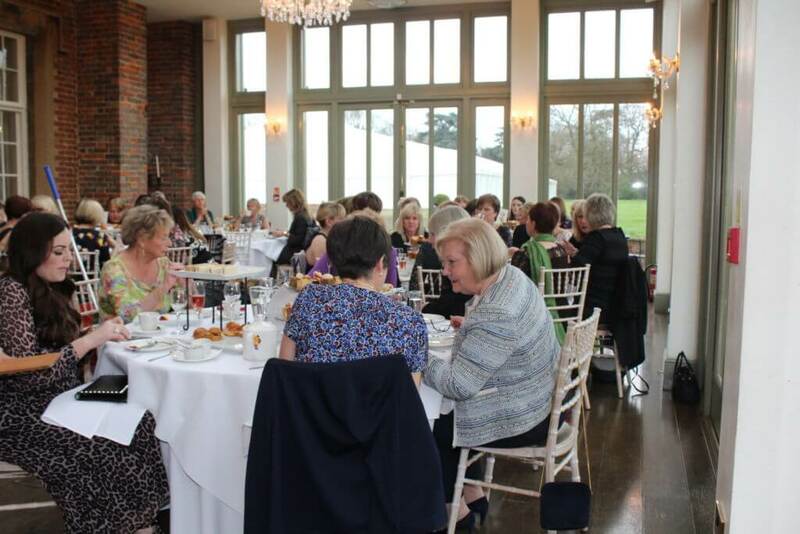 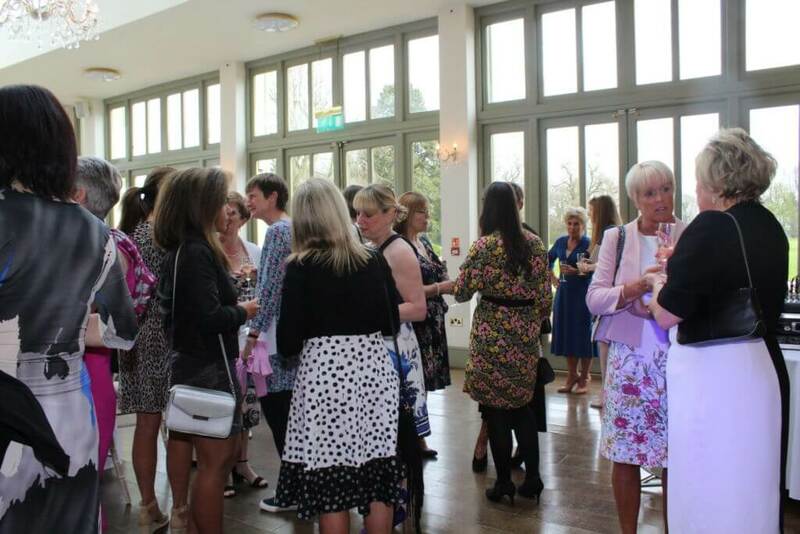 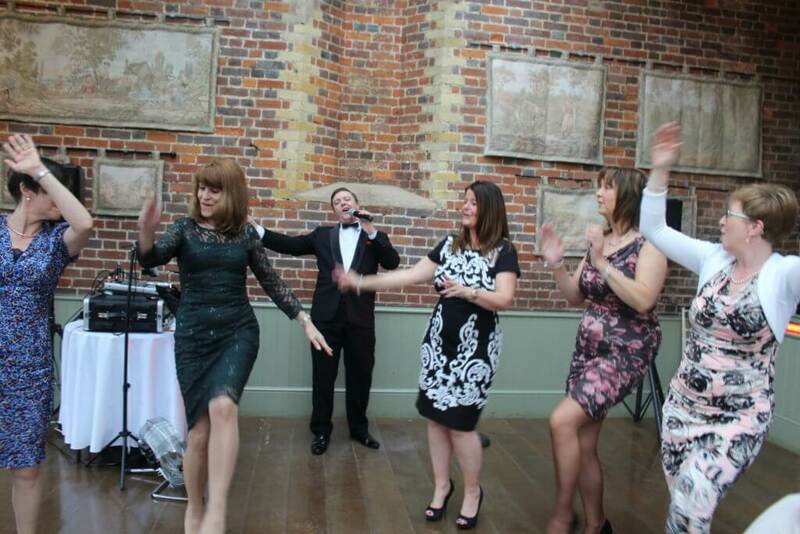 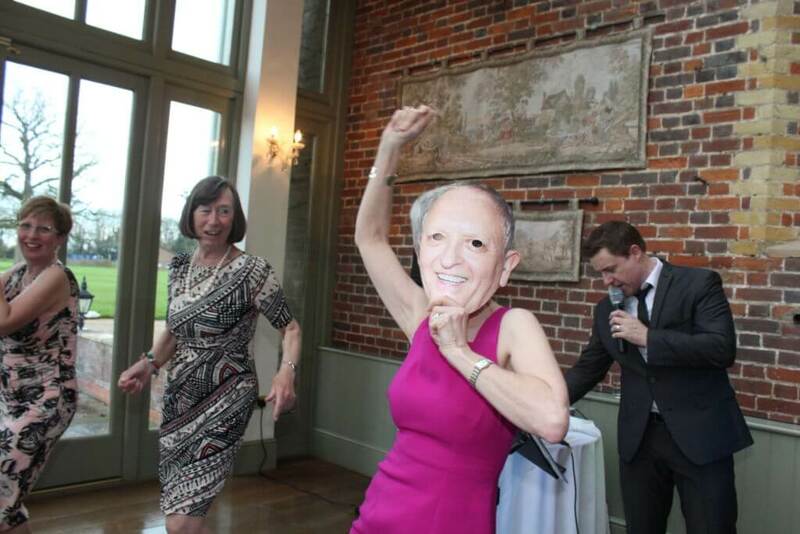 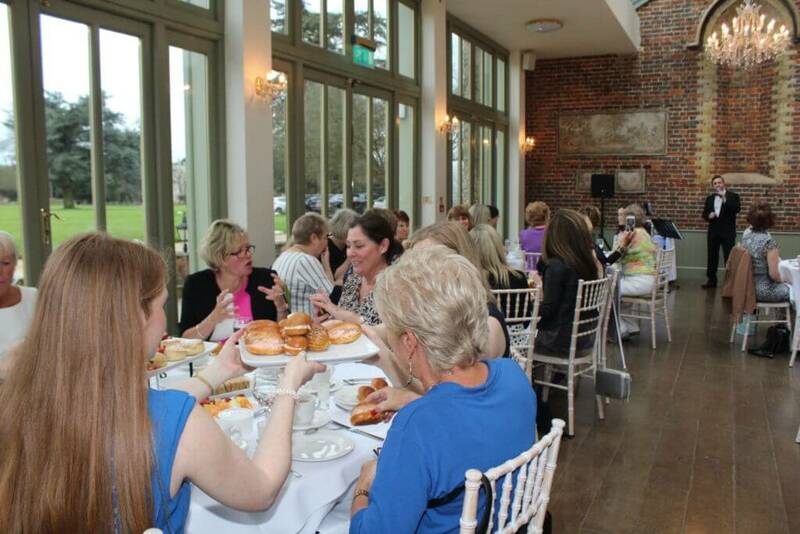 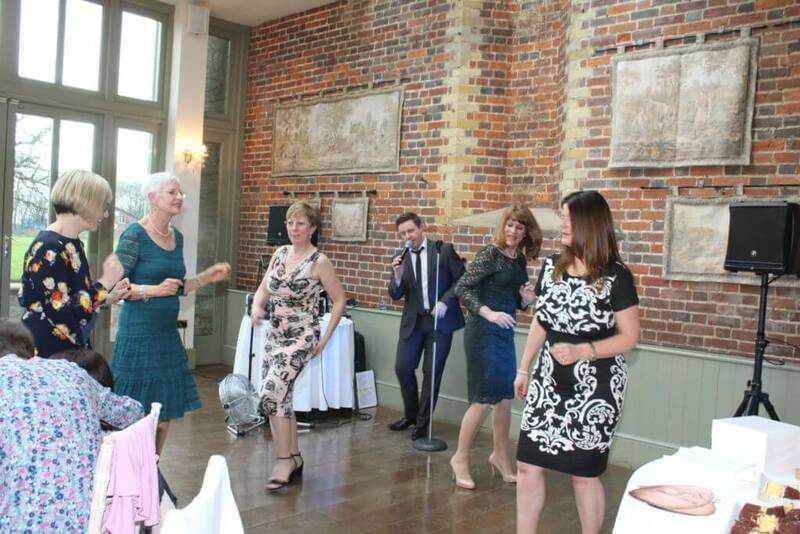 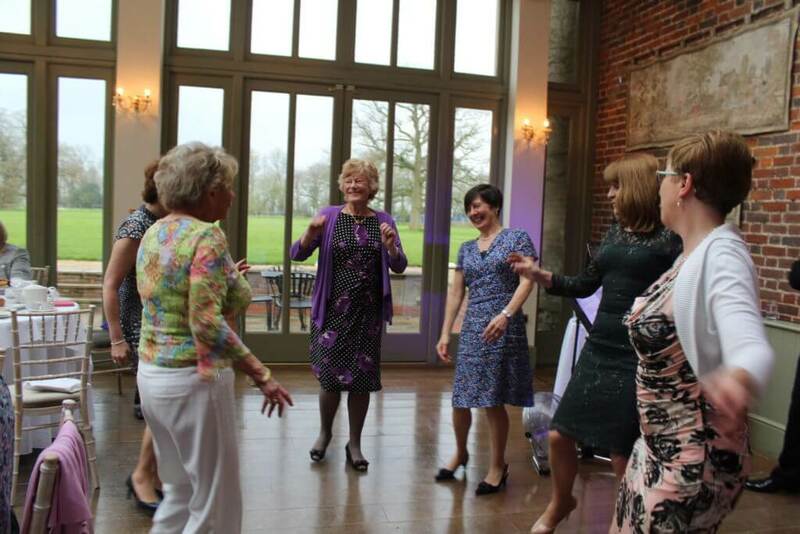 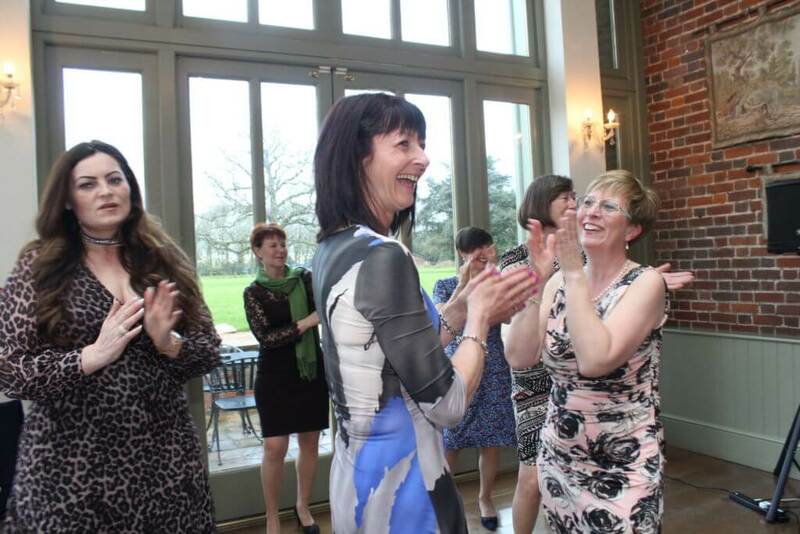 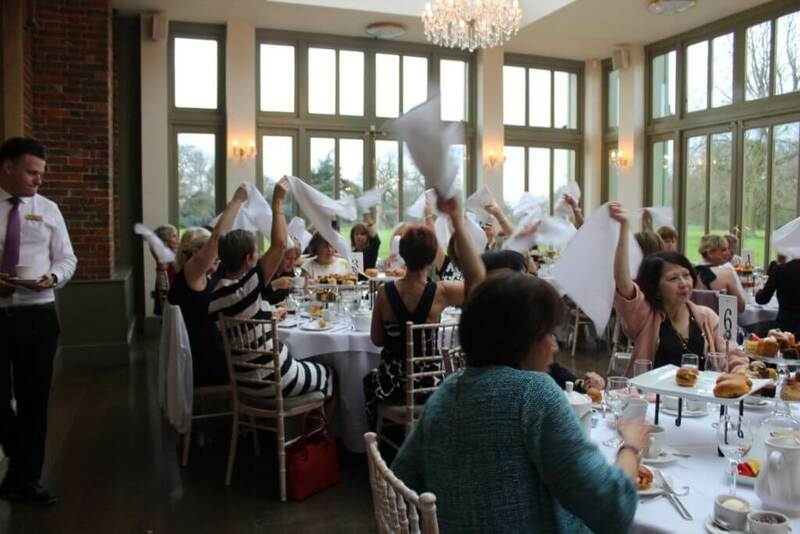 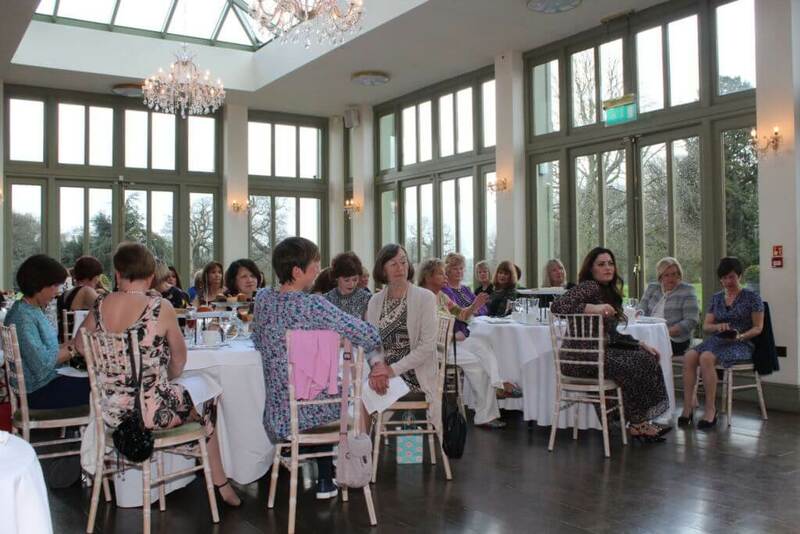 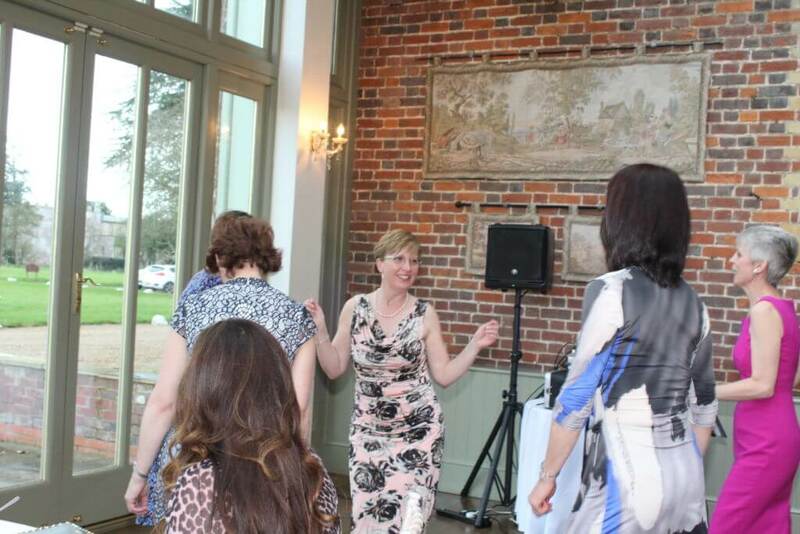 Joy and her guests were dancing; it was a fab afternoon, 50 ladies having a great time. 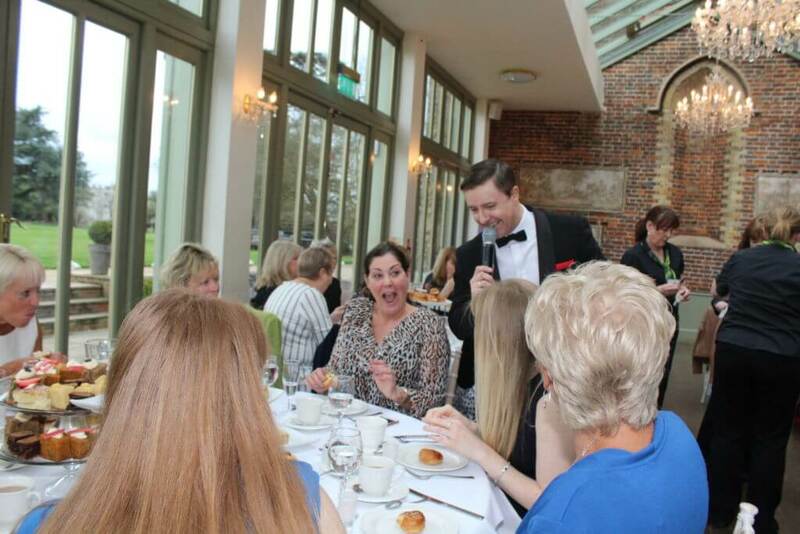 Can't wait to see you all again at Harpenden Golf Club in October.